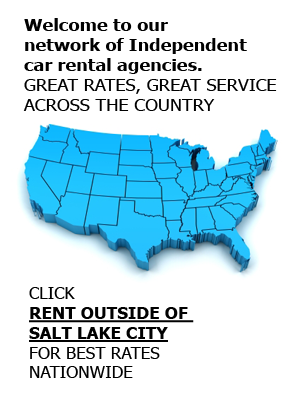 Affordable Rent-A-Car And Sales, located in Salt Lake City, Utah, has a large variety of used cars, vans, and other vehicles for sale. In fact, every rental vehicle in our fleet can be purchased by our customers. Stop in for a test drive, or contact us at (801) 266-7368 for more details about any vehicles that are up for sale. Purchasing a used vehicle is, of course, much more budget friendly than buying a new one. At www.affordablerentacarandsales.com we understand that finances can be tight, which is why we offer each vehicle in our rental fleet for sale. Every one of our vehicles—whether it is a cargo van or an economy or compact car—has been expertly maintained and serviced regularly throughout its life by professionals. Inside and out, our vehicles are in as pristine a condition as a used vehicle can be. If that weren’t enough, when you buy used cars from a rental agency like us, you can expect the vehicle to be of a newer make and model, have low miles, and be modestly priced. Don’t spend more on a new car when a rental vehicle has what you need, and then some. As professionals in the automotive and rental industry, we know that honest practices and excellent customer service is of the utmost importance. When searching for the best used cars to purchase, you can expect our salesmen to be honest and forthright in disclosing any and all issues with our vehicles. We don’t sell lemons; we sell lemonade. So come in to test drive your new ride, and let us help you get around Salt Lake City without emptying your pockets. Contact us at (801) 266-7368 today to schedule a test drive for any of our used cars in SLC. Along with our used car sales, we also rent our vehicles to production companies, offer airport pickup and drop-off services, and offer two branch locations for our customers’ convenience. Along with our car sales, we also have van rental, truck rental, SUV rental, and car rental options.